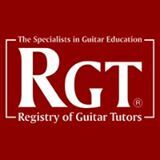 If you're looking for guitar lessons in the Leeds area you've come to the right place. Established in 1993 the Leeds Guitar Studio has been providing acoustic and electric guitar lessons in Leeds for over 20 years. Browse our site to find details of the services we provide, lots of useful information and free video tutorials. A good teacher can correct faults before they become a problem and will tailor lessons to suit you as an individual. This is something that no YouTube video can ever do. Good guitar classes are an investment that always pay off in the long run. Music is a collective experience which is passed on largely through personal interaction. You learn the language of music through speaking it with others and one on one sessions are the best way to start that process. Learning to listen is just as important as learning to play. Playing any instrument is a lot more pleasurable if you understand how music works. Often players come to me to 'fill in the gaps' left by ad hoc self tuition or by second rate guitar education. My method integrates theory into practice assuring your future progress and eventual self sufficiency. A good instructor teaches themselves out of a job! Whether you're an experienced guitarist wishing to improve or a complete beginner we can get the results you want! We welcome all ages and abilities and above all we want you to enjoy the guitar and get you playing asap! I've been teaching guitar for over 25 years and over that time have developed many unique and effective learning techniques. Read my google reviews and you'll see that people mention my ability to explain things simply and clearly time and again. So whether you just want to play simple songs on acoustic guitar or shred the guitar with super technical metal I've got the skills and experience to get you there. Call today for the best Leeds guitar lessons!